How digital technologies can strengthen democracy is highlighted in our project europX in cooperation with the Foundation Remembrance, Responsibility and Future and Deutschland – Land der Ideen in the run-up to the European elections in 2019. How digital technologies can strengthen democracy is highlighted in our project europX in cooperation with the Foundation Remembrance, Responsibility Future and Deutschland – Land der Ideen in the run-up to the European elections in 2019. 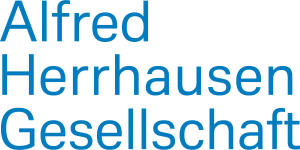 We support the Alfred Herrhausen Society in the preparation of its “Denk ich an Deutschland” conference 2019 with a communication initiative on European political topics. We are currently supporting the Heinrich-Böll-Foundation in the optimisation of communication between international offices. polisphere has 20 years of experience in political affairs and maintains a reliable network. Would you like to realise a project together with us? Then contact us!